Recently, my husband informed me he would read “one Catholic book” every few months to quell my nagging him to learn more about the Faith. He will begin Confirmation classes this fall, so I want him to learn as much as possible; perhaps I can be overzealous! Since my suggestions were limited, I needed one with solid information relayed in a concise manner, so he would not lose interest. 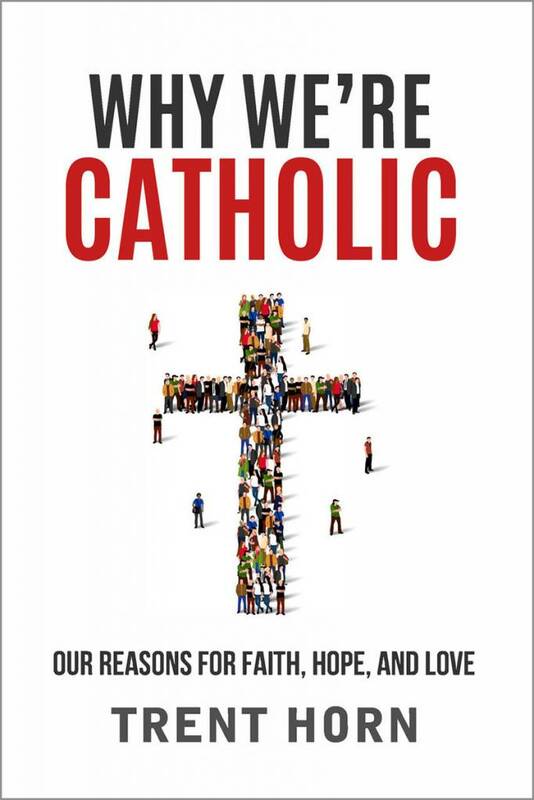 I asked around and the immediate suggestion I got was “Why We’re Catholic” by Trent Horn. He finished reading it in one night! The biggest draw of this book, other than the rich, informative content, is how well Horn explains the biggest tenants of our Faith in a way everyone can understand. His writing style speaks easily to people who have no prior knowledge regarding Catholicism and yet for a cradle Catholic like myself, I found it incredibly insightful and refreshing. I think every Catholic will get something valuable out of reading it. Horn uses simple analogies throughout the book, which I found incredibly helpful. He also brings up examples of his many encounters with non-Catholics and the typical questions and doubts they have regarding our beliefs. He has a charitable, yet honest way of explaining everything. The end of each chapter includes a recap of the topics discussed throughout. One of the many topics he covers is the Trinity. Even for a lifelong Catholic, explaining or even fully understanding this concept can be a challenge. Horn dedicates an entire chapter on the subject and after reading it I felt more confident in my understanding. Why we go to Mass, baby baptisms, Purgatory, priests, salvation and the Pope are just some of the more oft discussed topics he covers. This book is fun to read and easy to dig into. I would suggest giving this book to anyone remotely interested in learning more about Catholicism, or as a Confirmation gift.